Forget about fun food for kids, I want someone to cut my peaches into a cute peach parrot for me! Not only is the parrot gorgeous, those peaches look delicous! 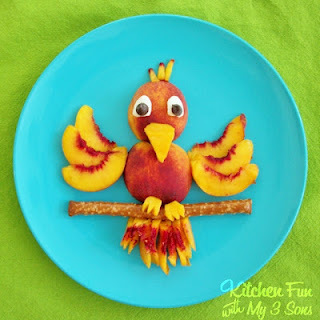 You can check out the peachy parrot over at Kitchen Fun With My 3 Sons.